Beautiful, young, impoverished Parson’s daughter, Hermia Brooke, is happy with her simple country life, despite being shunned by her wealthy uncle the Earl of Millbrooke and her cousin, the spoilt and selfish Marilyn. In a chance encounter with a raffishly handsome gentleman, whom she decides resembles the Devil himself, she nevertheless helps him with a stone stuck in his horse’s hoof. Rewarded with a golden guinea and a shocking kiss, Hermia finds her world turned topsy turvy when she meets the mysterious stranger once more at the behest of Marilyn, who is determined to trap this Devil’ namely the Marquis of Deverille into marriage. 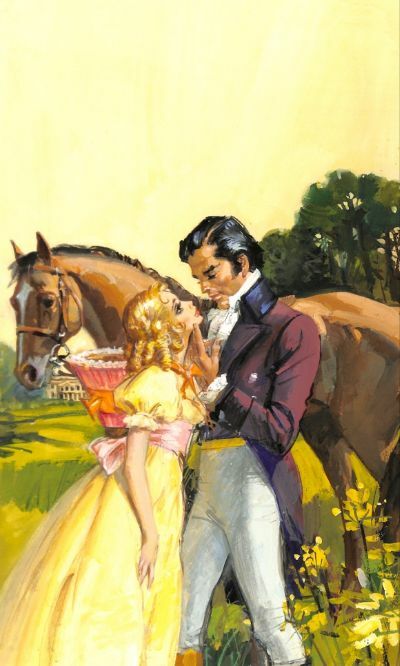 Just as Hermia’s innocent heart warms to the gentler side of this hard-bitten aristocrat and he falls under her guileless spell, the Marquis is embroiled in a murderous plot and Hermia must fight for his life, even as all hope of the love she dreams about for herself seems lost.